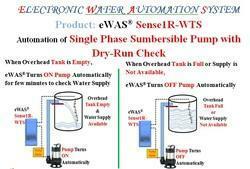 eWAS Water Automation System is No.1 Brand of India. With more than 10 offices across India, Attri Enterprises Limited are an ISO 9001:2008 accredited manufacturer, supplier and exporter of Water Automation Systems, Sensors, Switches, Pumps and Valves. 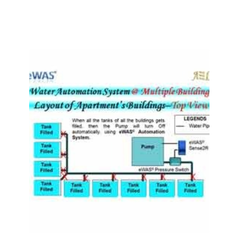 We are popular under the commercial name of eWAS Water Automation System. 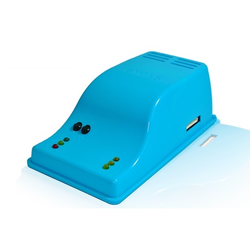 Our innovations are accredit by Department of Science and Technology (under Ministry of Science and Technology) and products are tested by Govt. Lab, ETDC (Electronic Testing and Development Center). Attri Enterprises Limited has eWAS Cafein Delhi, Alwar, Allahabad,Angul, Ahmedabad, Ajmer, Bhilwara, Balasore, Calicut,Chittorgarh, Gurugram(Gurgaon),Hyderabad, Jammu , Kashmir ,Mumbai , Mangalore, Nandurbar, Nalasopara,Pune, Rewari, South Delhi, Sonipat,Tripura, Udaipur , patna ... And expanding to 50 eWAS Cafe by FY' 15-16. We have high focus on Research & Development (R&D) and we have published Patents. eWAS and AEL are Trademarks of the Company registered under IPR Office, Govt. of India. The range offered by us encompasses Water Level Controller, Water Pump Controller, Water Level Indicator With Alarm, Fluid Level Indicator With Alarm, Cooling Tower Controller, Multiple Tanks Automation Systems, Online Pump Controller, Submersible Pump Controller and Automatic Off Pump. 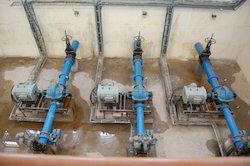 In addition, we offer Solenoid Valves, Electric Operated Valves, Multiple Building Water Automation, Water Purifier Controller, Water Level Automation, Submersible Pump Controller with Water Check and many more products to the customers. We also provide Quality Services to our clients. The offered range is designed and manufactured under the supervision of professionals using advanced technologies and qualitative raw material. Additionally, we render Free Call & Installation Services that are applauded in the market for their timeliness and reliability. We have been able to muster a huge clientele across the markets of Caribbean, East/Middle Africa, North Africa, South/West Africa, East Europe and many more.